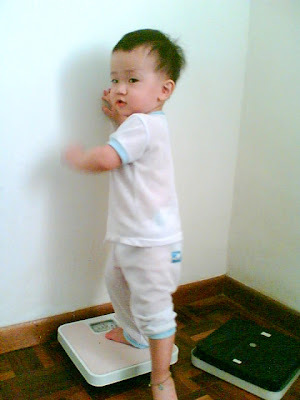 Huh huh huh I've reached 11kg(+diaper) liao! I am not FAT. I am just bone heavy. Hehehehe...there is a difference, you know. There is A Frog In My Bath!